Humanization is not a term often identified with. It means to imbue with humanness or human kindness. It’s somewhat sad to me that as I reflect on this topic it doesn’t seem strong. There is no sense of pride when we talk about “people.” I don’t feel we are doing our work as it comes to the greater nature of compassion and human connection. This is what community means to me, and I break community down into two words. Common Unity. That requires two understandings. What is common and what brings unity. Exercise has been an outlet for me to reconnect with roots from my athletic days, and an avenue that’s allowed me to enjoy the richness of fitness from a moral standpoint. That may come as a shock to you, but there are moral principals in all fields, exercise included. The past couple of months have been tough for me to endure at an emotional level. As somebody who pours themselves into their work, it can become a battlefield seeing people struggle with weight, body-image, and our overall vulnerability as human beings. What is common to us? Like common-sense, right? But that doesn’t seem to be too common. What is common are a people who work too much, and not so much from a standpoint of love for their job, but rather from a fear of not being able to keep up with a bill. What is common are a people bearing too much pressure of responsibility and sacrificing their own sensibility. Responses are great, sure, but what are they without the senses? You just become a robot. Then our overall ability diminishes. We lack capacity and lose enthusiasm, and it is enthusiasm that brings common ground for us all to be inspired in life. What is unity to us? To unite there must be some cohesiveness. Some agreeability that what we experience in the world is indeed good. Without the good we do not unite. We argue or we stay quiet. We suppress this unique voice we are given and choose to have others speak for us. With this, our dreams become somebody else’s, and we live a life feeling like we simply get old and eventually die. A fatalistic outlook, and yes, we do die, but we do not have to get old. That’s not life. Not to me. What brings unity is a gentle humbleness about a collection of people who determine to love what they do, for who they are, and embrace this vast expression that life brings. Common Unity, and thus community, is a stable sense of enthusiasm brought about by the love for both the experience and exposure we cultivate in our collective existence. We are neighbors to each other and not foreigners. I’ve learned this as a personal trainer and as a person. My aim in life is to breathe life into hope. With whatever it is I do and however I choose to speak. Through exercise. Through writing. Through hobby. Whatever my venue I choose to speak intentionally. This is the best workout, and as it is practiced it becomes with ease. To break old habits of discord we must not set “newer” habits. Supposing that we do, I tell you that we will just fall right back into the ‘same ole’ cycle. To break old habits we must set new intentions. Intentions of good will; indomitable will. I wish to live in a cherished community by more than just a few. I want it to be within a consensus. My love extends to yours. This will bring the strength that creates a whole community. 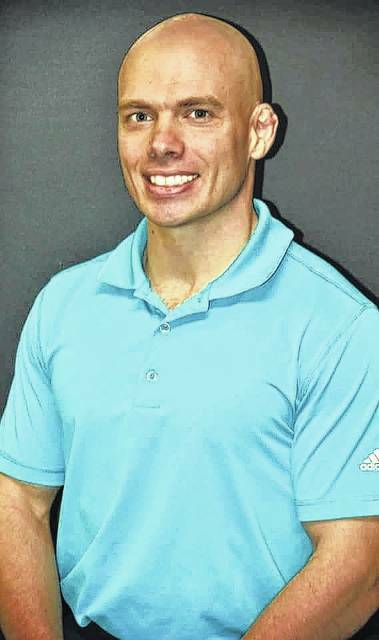 Trey Tompkins is a local resident who writes fitness and inspirational columns for the Record-Herald.